Khao Yai National Park is one of Thailand’s most-visited national parks. 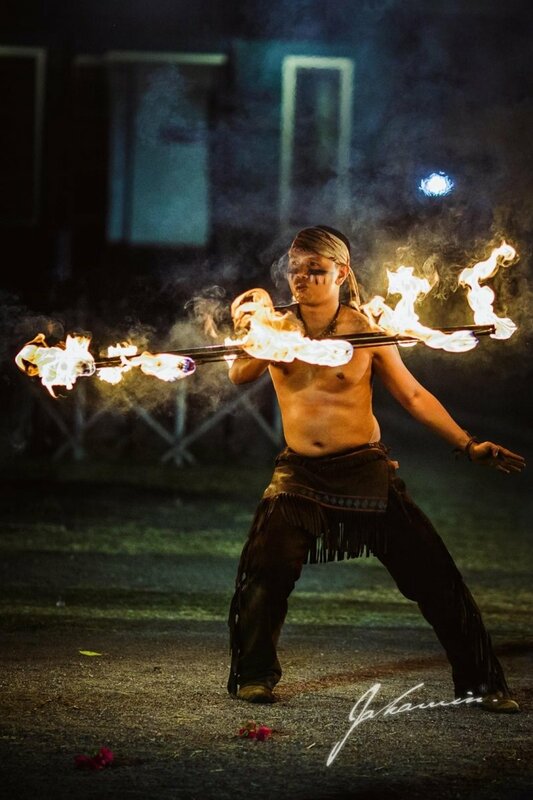 Located just a couple of hours’ drive away from the lively city of Bangkok, it is where visitors can enjoy awesome jungle trekking and wildlife spotting. There are myriad scenic vistas and several splendid waterfalls. 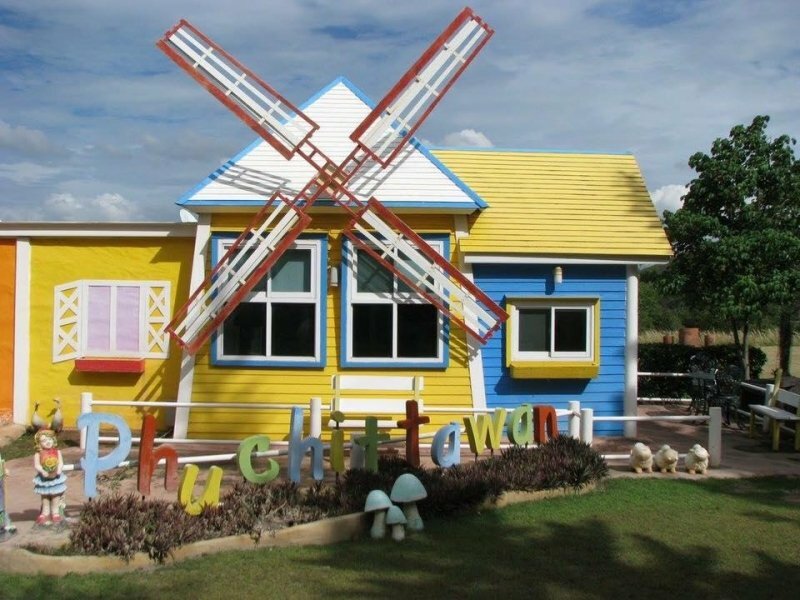 The wider area also has plenty of fantastic attractions, including the country-themed attraction park of Thong Somboon Club and Chokchai Farm where you can see cows being milked and learn more about the dairy industry. 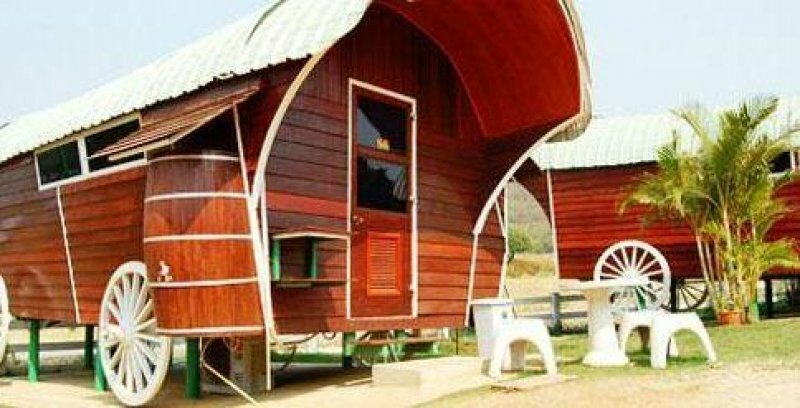 The large Khao Yai National Park spread across 2,168 square kilometres. Animals that call the park home include elephants, monkeys, bears, otters, deer, snakes, and numerous species of birds, lizards and insects. The first national park to have been established in Thailand, it is mainly located within the large province of Nakhon Ratchasima. 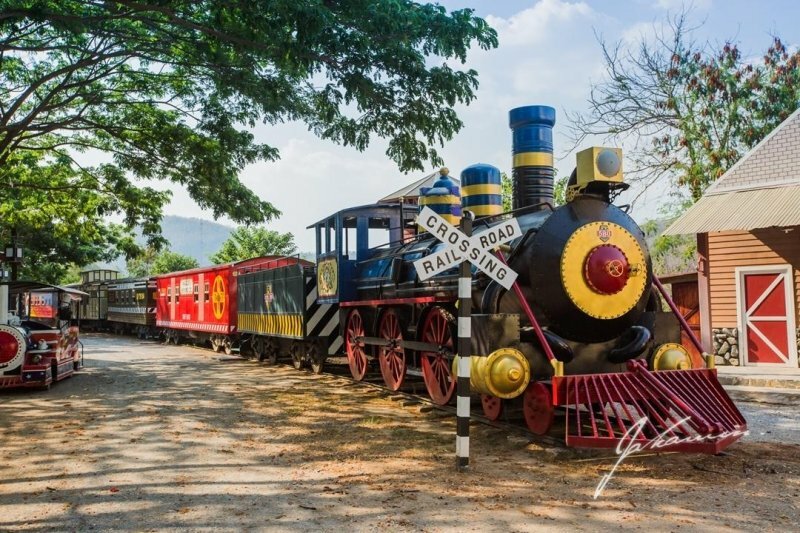 Parts of the park also reach into the provinces of Nakhon Nayok, Prachinburi, and Saraburi. Book a stay at Kensington English Garden Resort to feel like you’ve been transported to an English countryside village (but with hotter weather!). There’s a charming church on the grounds, complete with a spire and stained glass windows. Services are held here each Sunday. 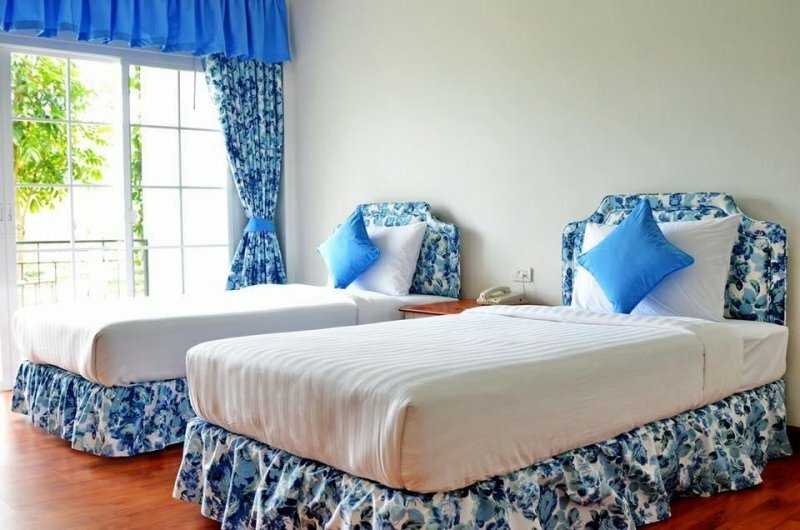 Rooms have a delightful floral theme, and each has a private bathroom, a TV, a hairdryer, a minibar, and a kettle. There’s a swimming pool, a restaurant, and a bar, and you can join in with activities like gardening, painting, and cooking. Trips can be booked onsite. Take a stroll through the beautiful gardens and enjoy the views. 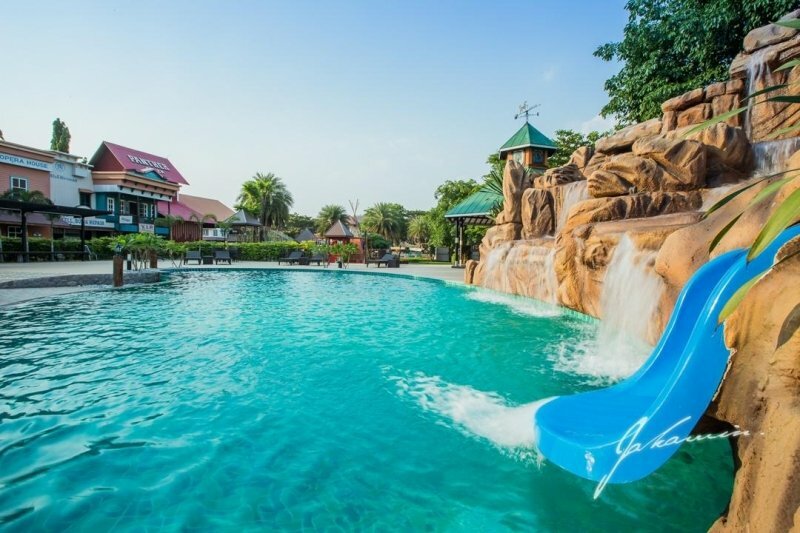 A great place for families with kids, Khao Yai Fantasy Resort boasts an onsite water park, complete with chutes, slides, pools, fountains, and sunbathing areas. Seeking more of a thrill? 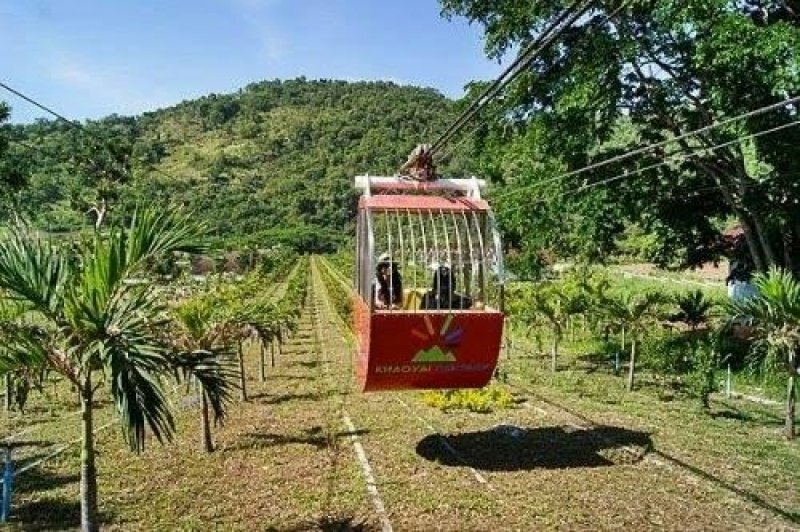 Soar along the zipline or hurtle around in an ATV. You can also ride the cable car and lap up the splendid views at a leisurely pace. Children’s play equipment can be found throughout the grounds, along with small rides and whimsical statues. There are two restaurants at the fun resort, as well as karaoke rooms. Bicycles are available to rent and you can arrange trips in the surrounding areas. Rooms are cosy and comfortable. 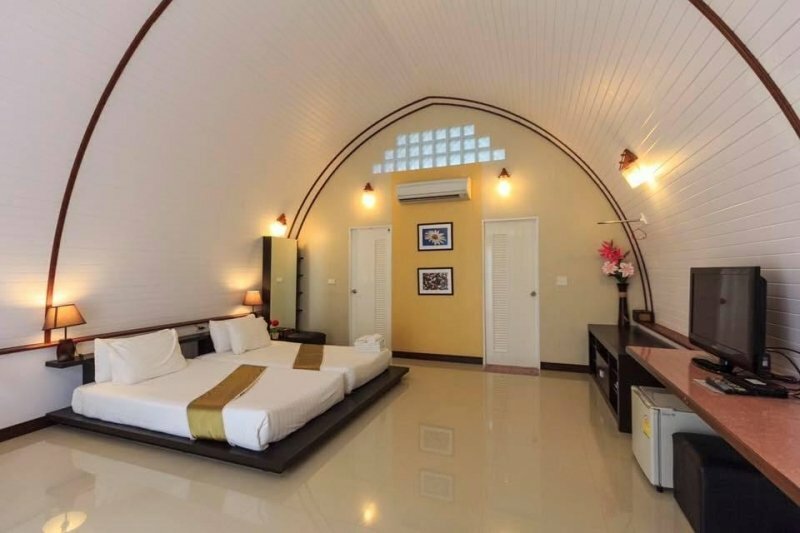 Shaped like large domes, rooms don’t have one bathroom—they have two! One bathroom has an enticing spa tub. Rooms also come with a mini fridge, a TV, and a safe. A cute little resort with colourful little cabins, the vibrant shades and attractive hues are what makes this place so lovely. Looking like something off the cover of a chocolate box, some of the buildings have windmill-like sails on them. Another is like a Christmas wonderland, with fake snow on the ceiling and a grinning snowman standing at the front. 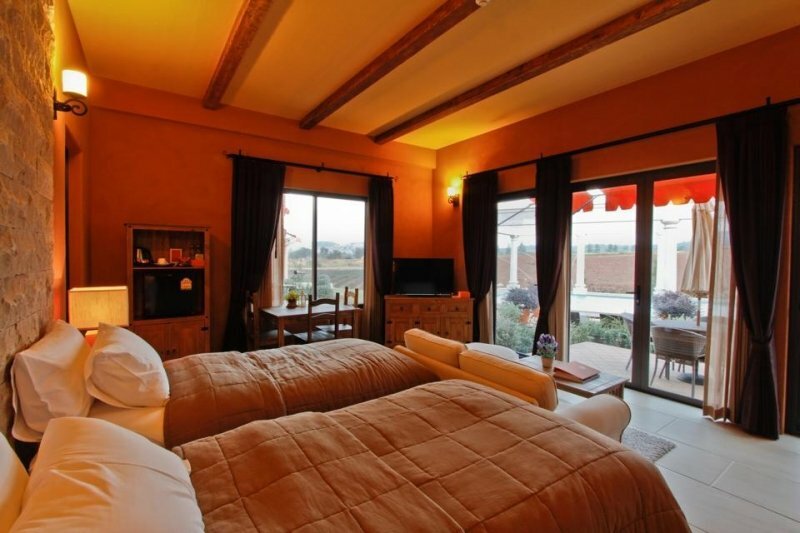 The resort has three types of room to choose from; each has a private bathroom and either a terrace or a balcony. People can also camp in the pretty gardens. How about a trip to Italy from Thailand? 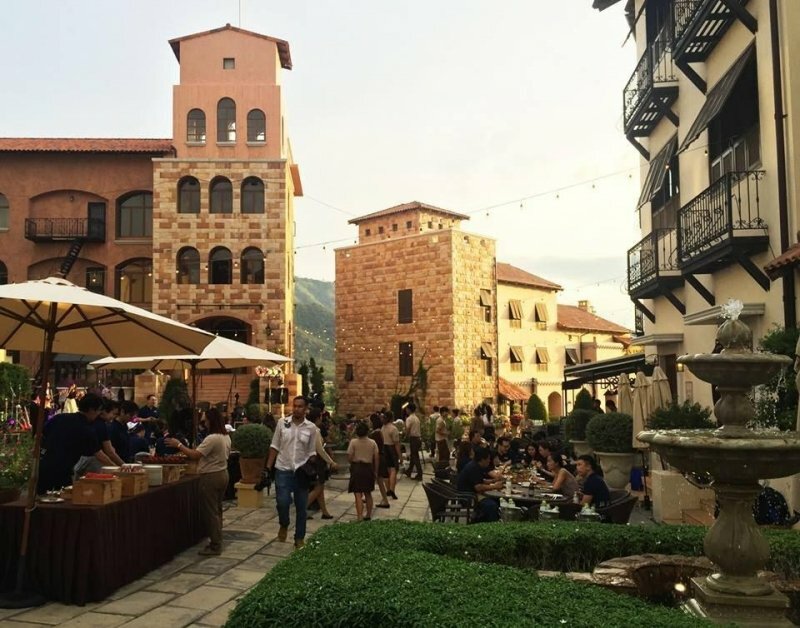 While you might not leave the continent or even the country, Toscana Valley offers a little taste of the Italian life right in Pak Chong, near Khao Yai National Park. Low-rise European-style buildings surround an open square, with cute pavement seating and umbrellas to protect from the sun. Stay in the genteel Town Square Suites, or check in to La Casetta Hotel. There’s a good selection of places to eat and drink; how about pizza or an authentic Italian cup of coffee? 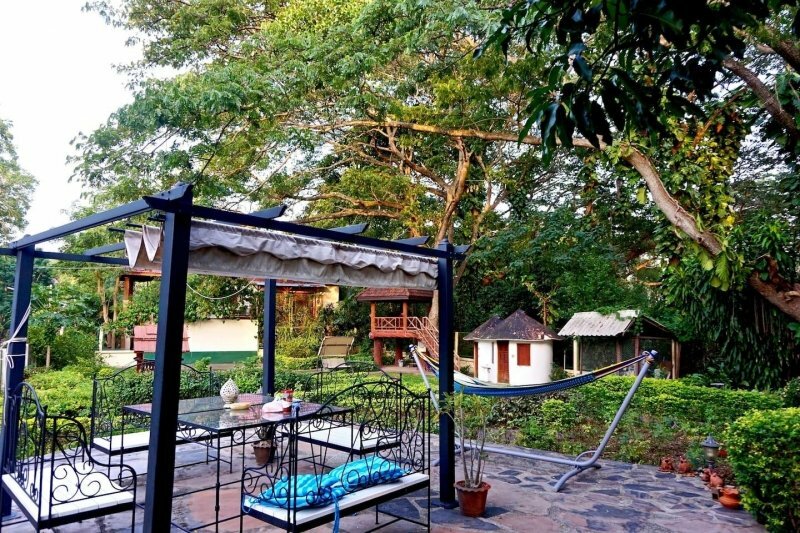 If you want to get high—literally—around Khai Yai, head to Evergreen Pakchong with Treehouse. 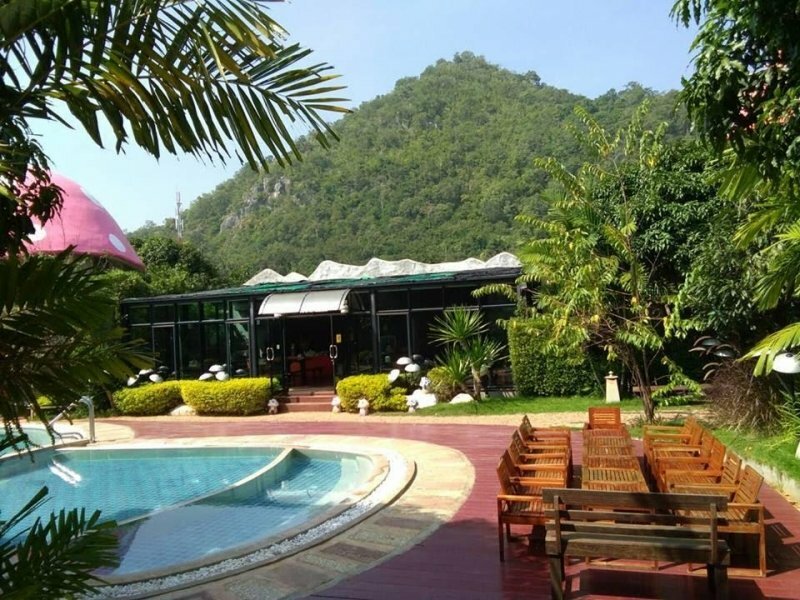 Within the luxurious Pak Chong Rajpracha Spa & Resort, guests can enjoy all of the resort’s terrific facilities while enjoying a private stay in nature. 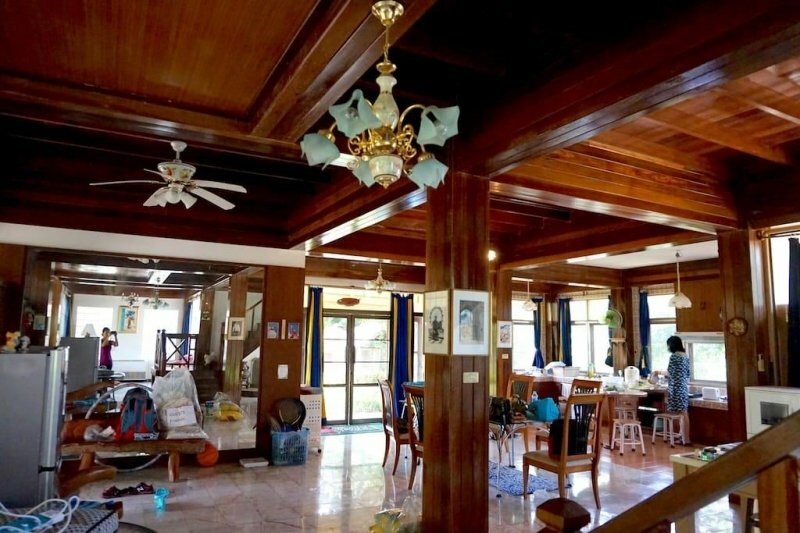 A fantastic option for a vacation with the extended family or a large group of friends, the beautiful holiday home can accommodate up to 20 people. 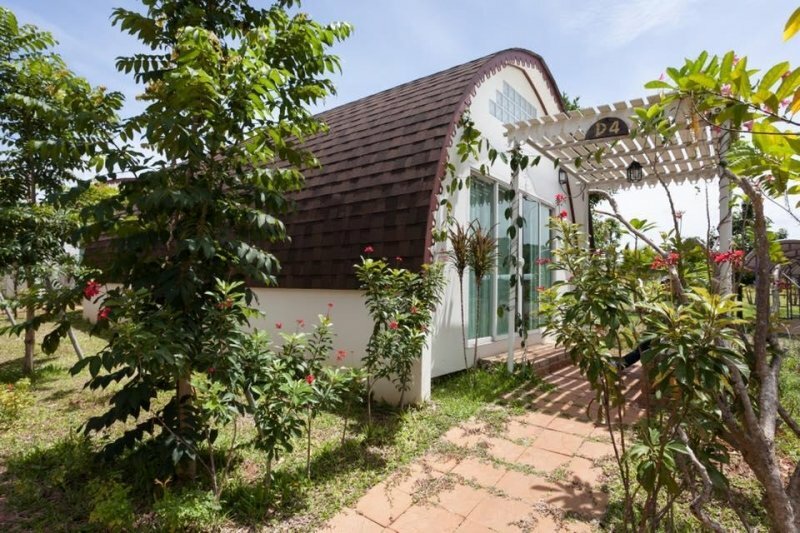 The self-catering house has several bedrooms, all with air-conditioning, as well as a fully equipped kitchen, a reading room, and a spacious living room. There are a further two garden cottages available for use if required. Clamber up into the tree house and enjoy the views, snuggle down in front of the TV with one of the provided DVDs, take a dip in the pool, chill out on the terrace, cook al fresco with the BBQ, play a game of tennis, challenge your companions to a karaoke sing-off or a darts competition, and have good old family fun with the selection of board games. 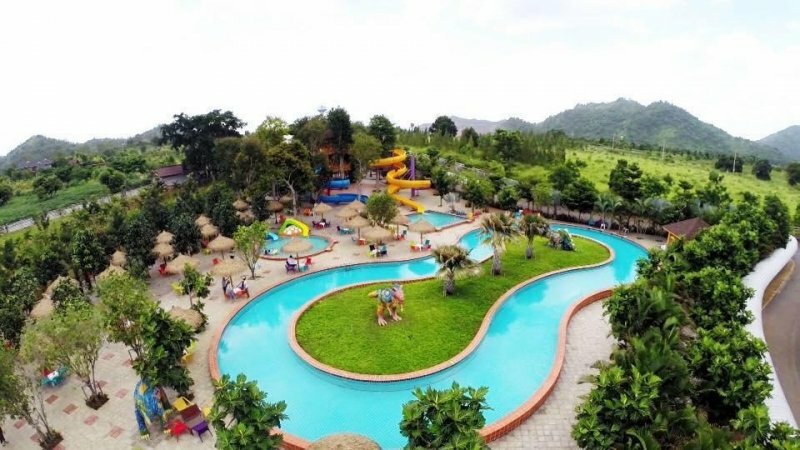 The fun attraction park of Thongsomboon Club has fun activities like a luge, quad bikes, buggies, a scenic train, a zipline, horse riding, BB Guns, bumper boats, and a log ride. 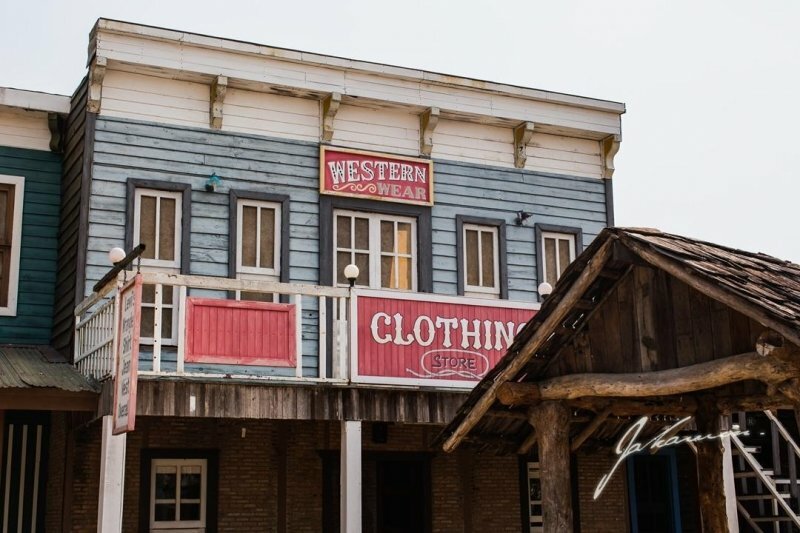 You can also get dressed up at the Cowboy Studio for some fabulous Insta-worthy pictures. 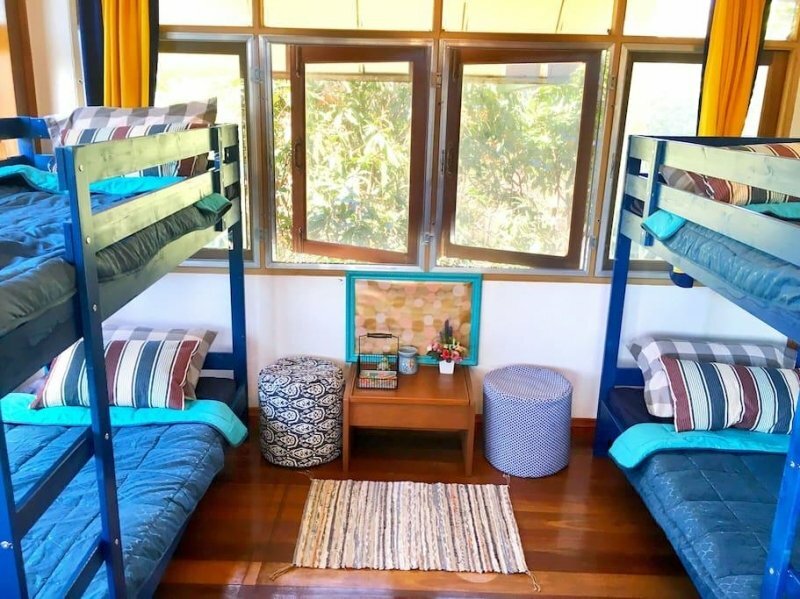 While a fun place for a day out, the park also has a cool selection of places to stay. From teepees to wagons and from camper vans to cabins and a full-on cowboy suite, the choices are diverse. There’s also a regular hotel … but, where’s the fun in that?! 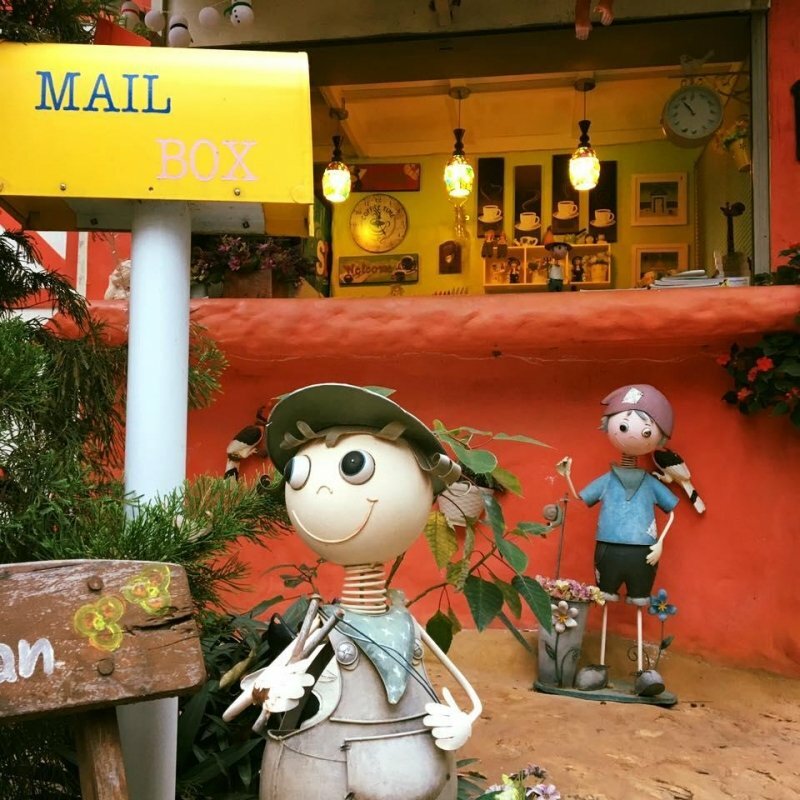 With larger-than-life mushroom containing the resort’s guest rooms, you can be sure of a quirky stay at Khao Yai’s Panorama Farm. Each mushroom contains two rooms, one on the lower level, and the other on the upper level. The upper room has an external staircase giving occupants of each room plenty of privacy. The round rooms are all en-suite. 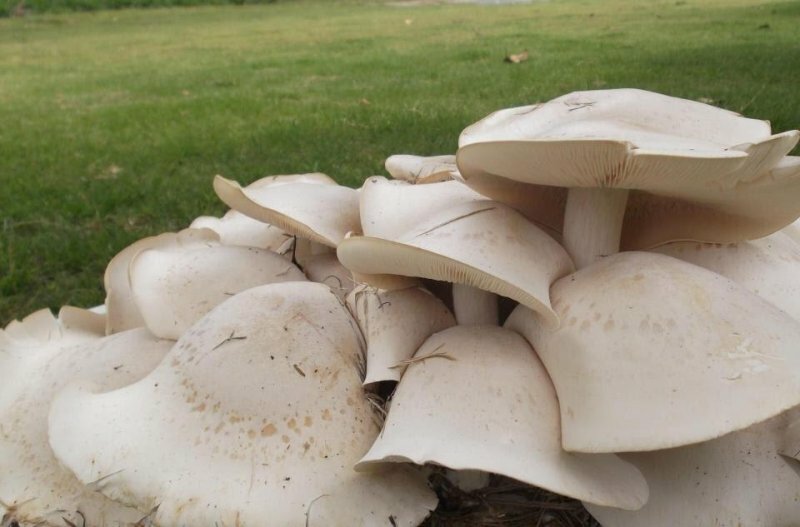 Resort facilities for leisure and fun include a swimming pool, a small mushroom farm, a gift shop, and a restaurant. 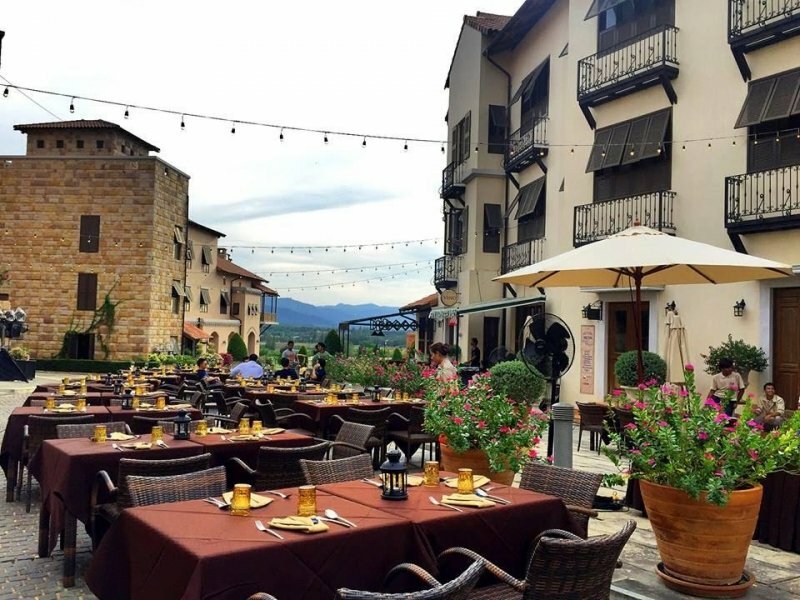 Soak up the country and Western vibe at the imaginative Panther Creek Resort. The large gardens are nice for a stroll and little ones can burn off excess energy at the play area. The communal lounge is a nice place to relax and unwind after a fun day out and about. Cool down in the swimming pool and admire the facades that resemble olde-worlde storefronts that could have come straight from the land of cowboys and Indians. Activities include badminton, horse riding, and cycling. There’s an onsite restaurant. The nightly show is sure to impress. 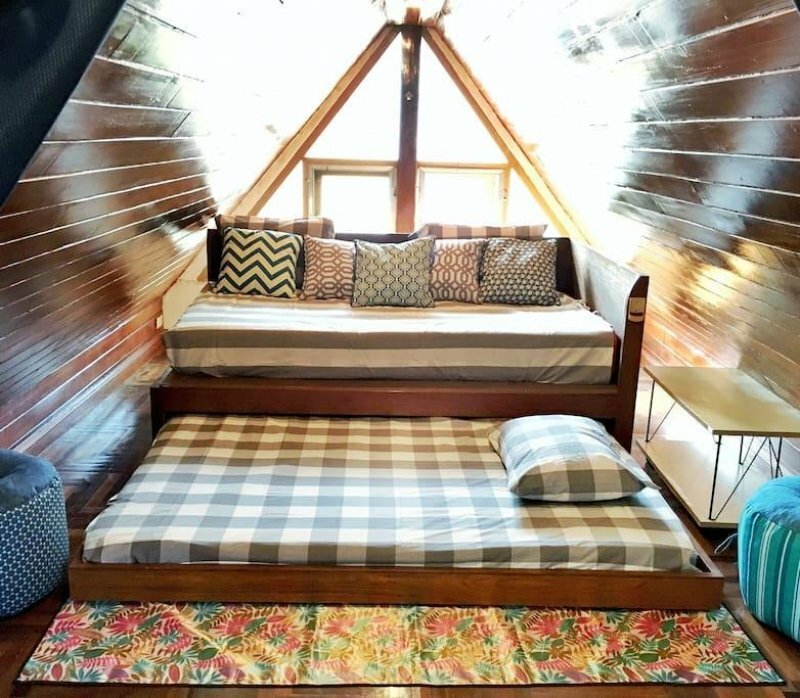 Fall asleep in an Apache House, nod off in a teepee, drift away in a themed cabin aboard the West wood Train, and more. 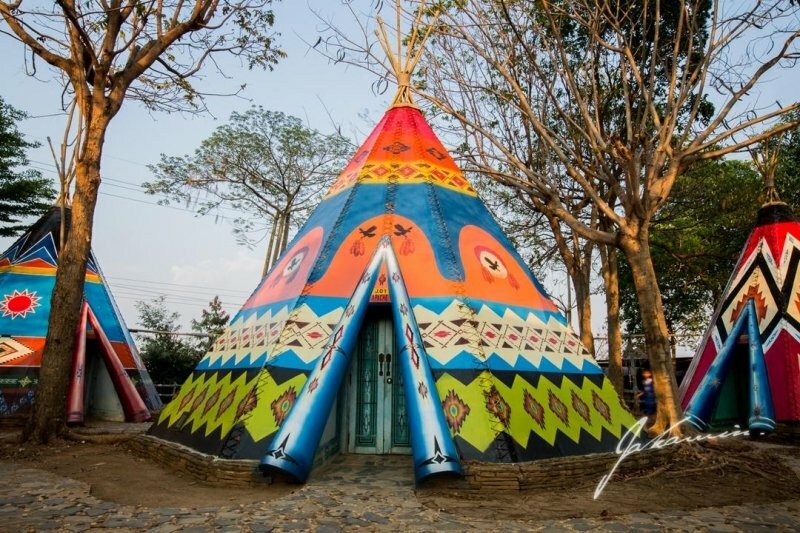 If these eight super-cool hotels and resorts have made you want to sleep somewhere wonderful in Khao Yai you’re in luck; there are many more themed and unusual accommodations in the area to choose from too! Can’t decide which would be the most fun? 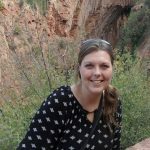 Why not spend a few nights in the area hopping between a few different places? 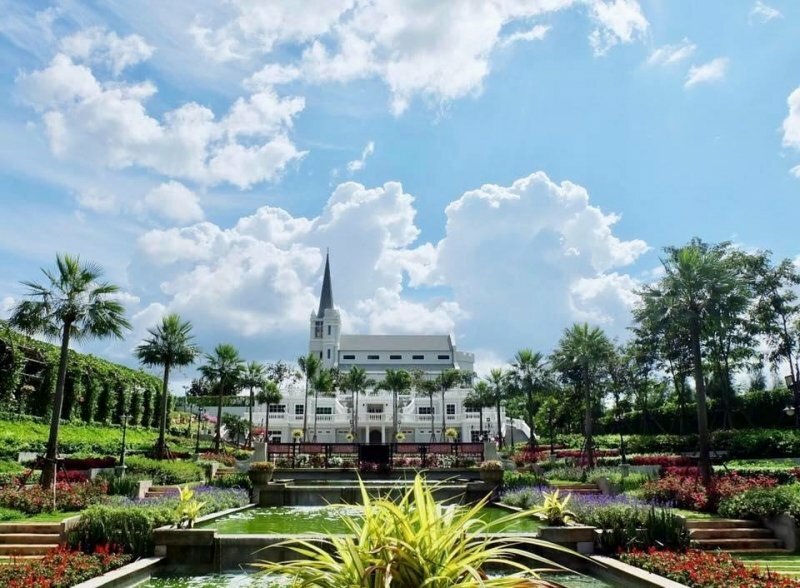 Other awesome resorts and hotels around Khao Yai that offer a stay a little different to the norm include Nhapha Khao Yai Resort, My Ozone Khao Yai, Montana Farm, A Houses Homestay, Baan Suan Noi, Palio Inn, Greenery Resort Khao Yai, and Fountain Tree Resort. 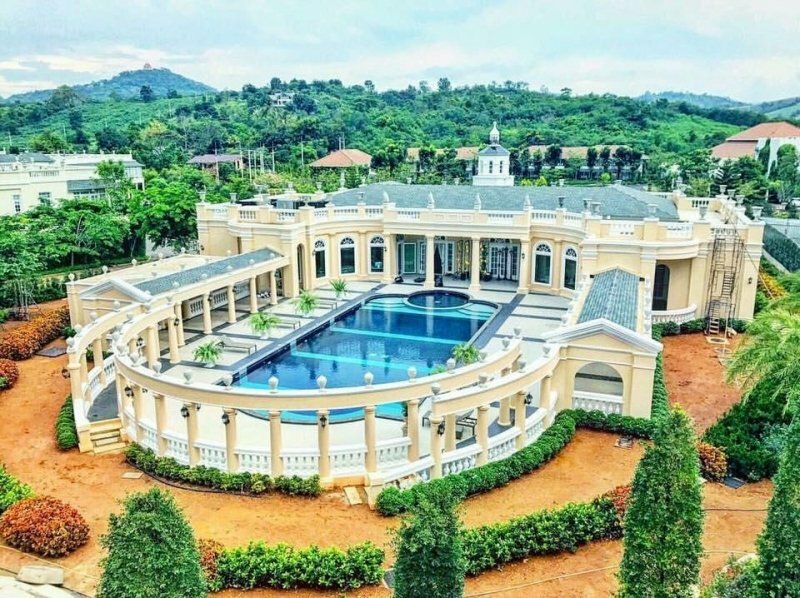 If that’s STILL not enough, you could also consider staying at Thames Valley, Belmont Village, Tomang Oh Vintage Resort, Phukumhom Resort, Sawan Srang Nang Kaew, U Khao Yai, Nhapha Khao Yai Resort, Japan [email protected] The Valley Khao Yai, and Lala Mukha Tented Resort. There are certainly many options to suit almost any taste!